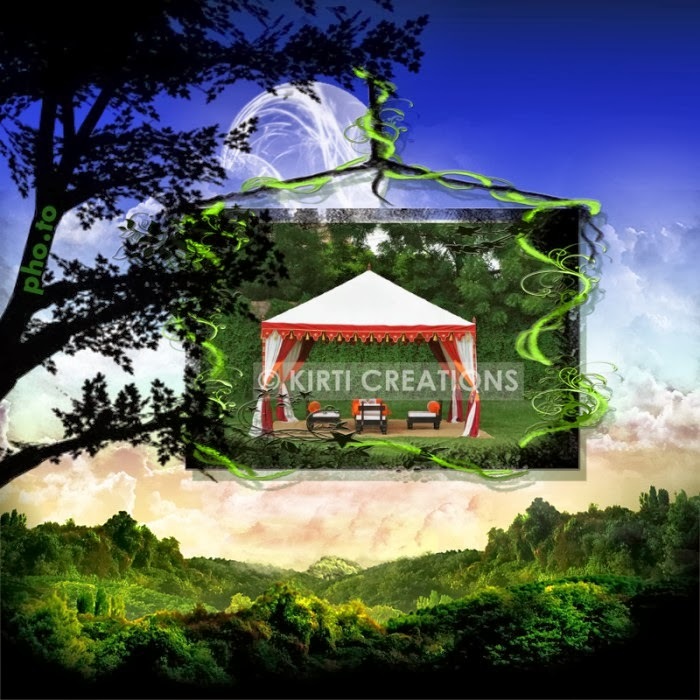 Indian Tent is one of the oldest tent company and suppliers across the India. This company allow all types of tents whether it is used in big or small occasions. 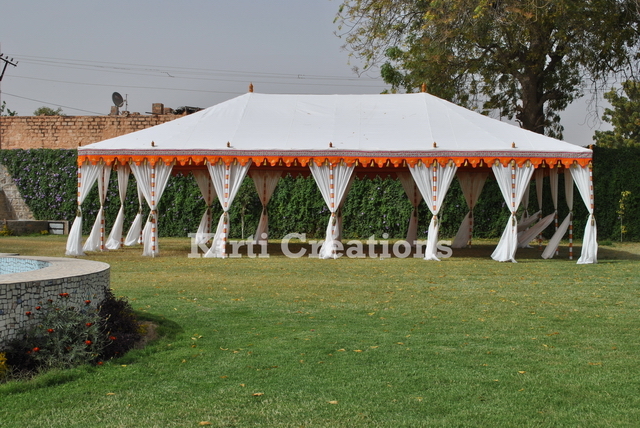 We have many kinds of products as raj tent, mughal tent, pavilion tent, maharaja tent, beach tent, luxury tent, party tent, wedding tent, garden tent, children tent and much more, you can choose tent from here according to function. Fabulous Maharaja Tent:- We supply Fabulous Maharaja Tent in a very sizes, it is so attractive and outstanding tent company. It has beautiful structure and fabricated with white and orange color of fabrics. It is so spacious and portable Tent. Indian Tent for Rent is available for all kinds of function and you can get at very affordable prices. If you are looking tent for function and small get together, Indian Tent is superb and suitable on every kind of weather. It is construct with the support of professional team, you ensure we make your evening memorable using our fancy and stunning decoration.